This recipe uses frozen chicken wing drumettes. You can use chicken wing sections, and you can also use fresh chicken wings. Just figure 4-5 pieces per serving for regular folks. 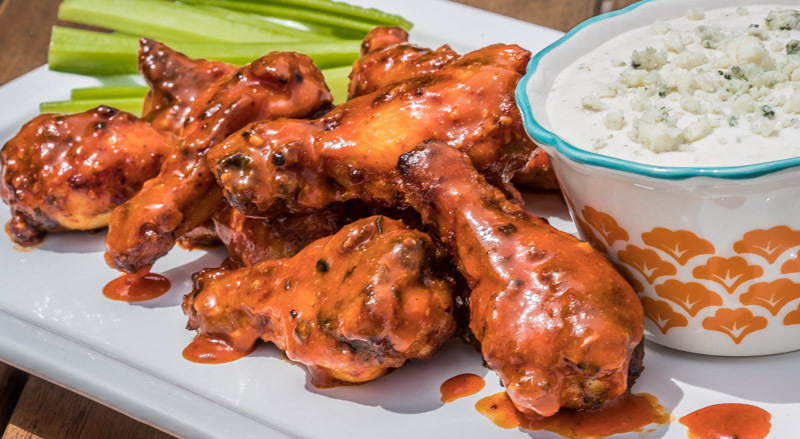 Adjust accordingly to meet your chicken wing lover’s needs! Thaw chicken according to package instructions. Once thawed, generously season all sides with Weber Garlic Habanero Seasoning. Cover and refrigerate 1 hour. Preheat oven to 375 degrees with oven rack in middle. Spray large baking sheet with cooking spray. Arrange wings evenly spaced on baking sheet. Cook according to package instructions, turning the wings over at the half way point. While wings are cooking, in a medium saucepan combine the Red Devil sauce, butter, garlic powder, and cayenne, and heat on medium stirring occasionally. Once the butter has melted, reduce heat to low and simmer for about 10 minutes to thicken sauce. When done, turn heat off. When the chicken is done, transfer to a large wide bowl or a large skillet. 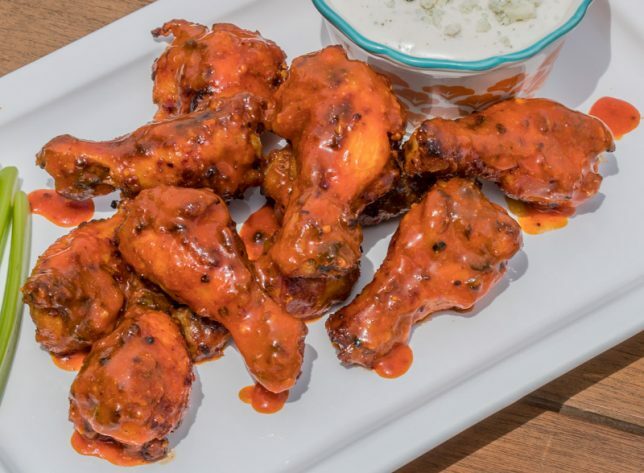 Pour sauce over wings and toss (or stir) to coat. Serve immediately with a bowl of Blue Cheese or Ranch salad dressing for dipping and celery matchsticks. And of course, cold beer and lots of napkins!